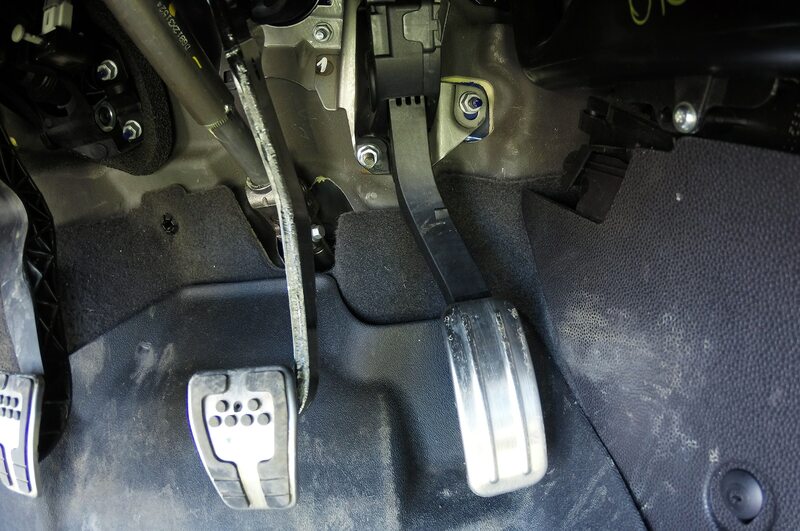 Apart from ice racing and autocrossing, we also use our Four Seasons 2014 Ford Fiesta ST for more pedestrian activities on a daily basis — running errands, commuting, and the like. Part of the beauty of this hot hatch is that it still manages to feel energetic and playful in normal driving, but that doesn’t mean it’s without flaws. 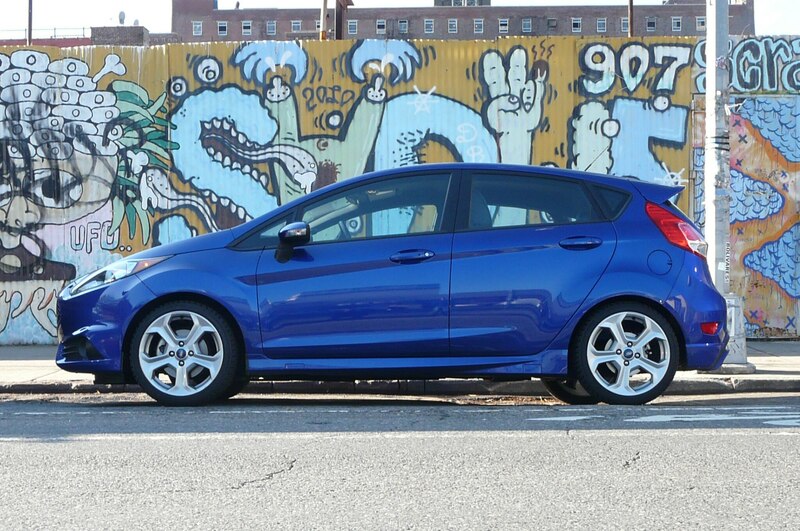 Our editor’s logbook has plenty of entries calling out small gripes about the Fiesta ST. 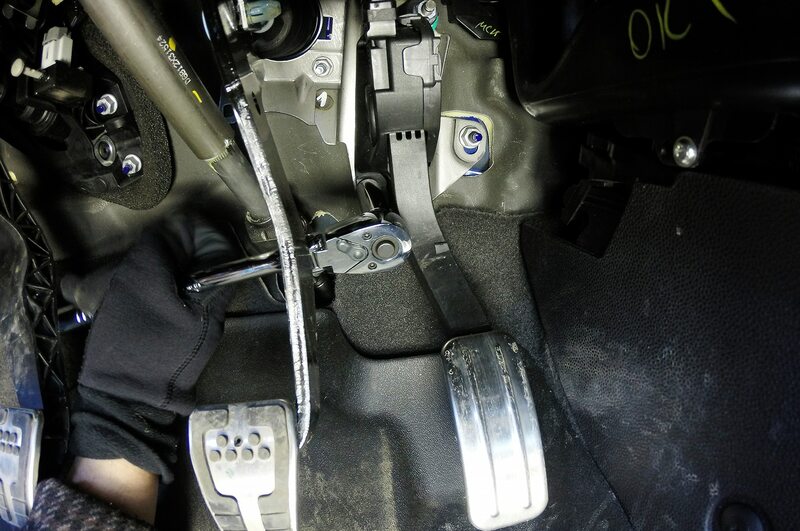 The gas pedal in the 2014 Ford Fiesta ST is placed significantly closer to the firewall than the brake and clutch pedals, making finding a comfy seating position tough and heel-and-toe shifting near impossible. 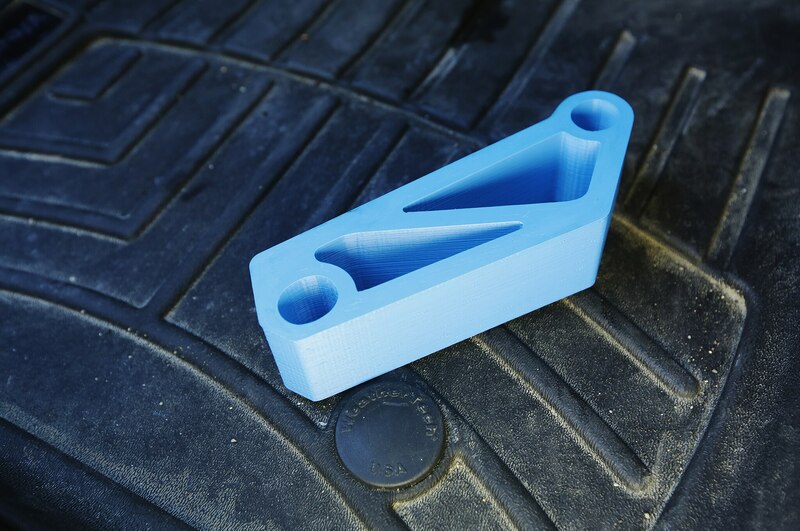 That’s especially frustrating on such a performance-minded car, but we found a product from ModBargains.com that aims to fix this issue. 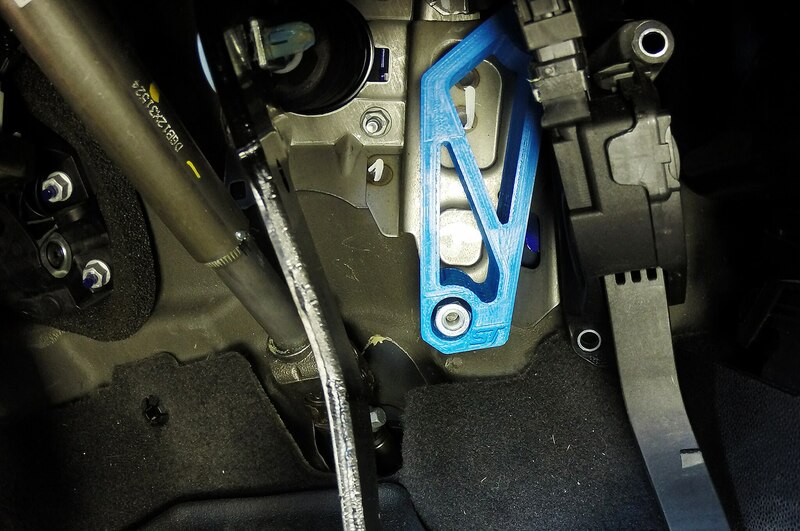 It’s a 3D-printed plastic spacer that fits in behind the throttle pedal to push it forward a bit so it’s even with the clutch and brake pedals. 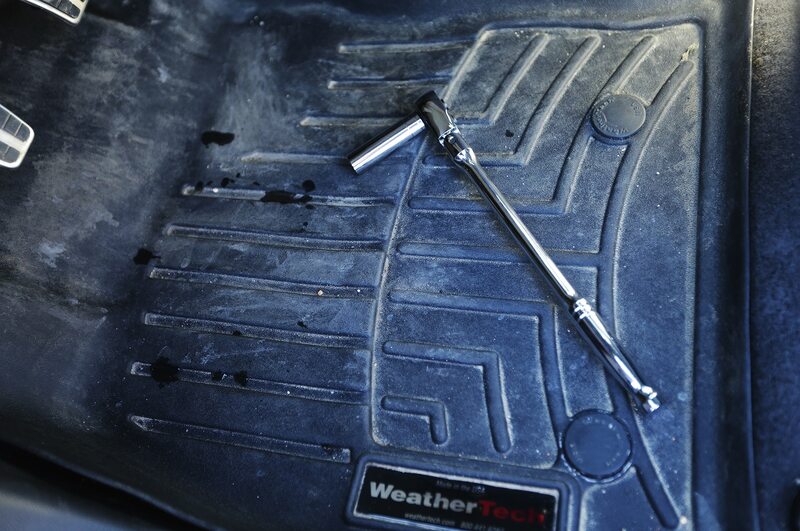 Installing the $54.99 pedal spacer took us about 30 minutes, and we needed only a socket wrench to complete the task. 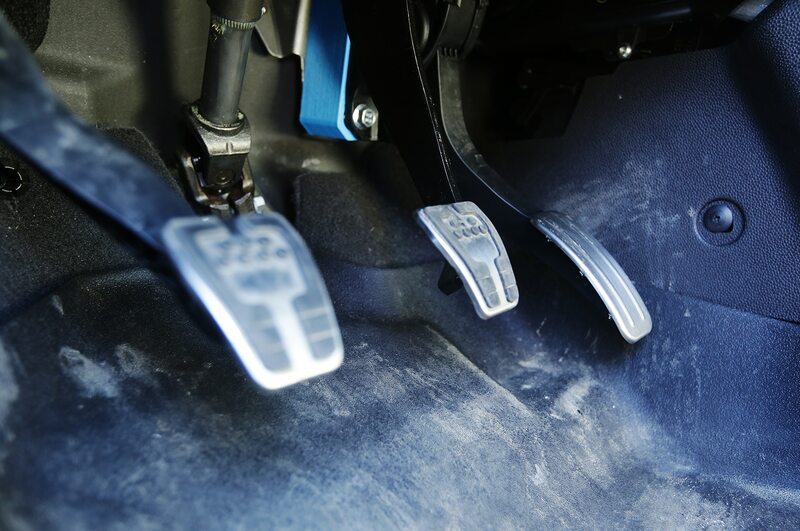 Staffers immediately noticed that the new pedal layout makes it much easier to find a comfortable seating position, not to mention enabling heel-and-toe shifting. 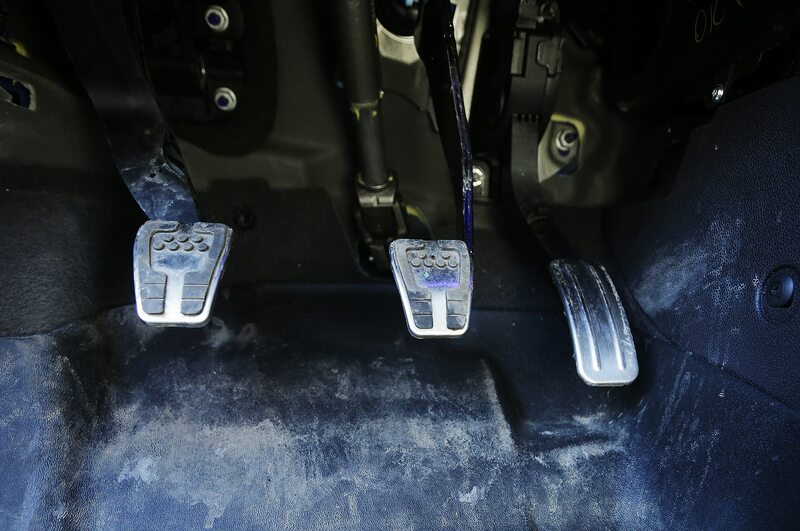 We first noticed the Fiesta ST’s lack of grab handles when a passenger looked for something to hold onto during some, ahem, spirited driving. 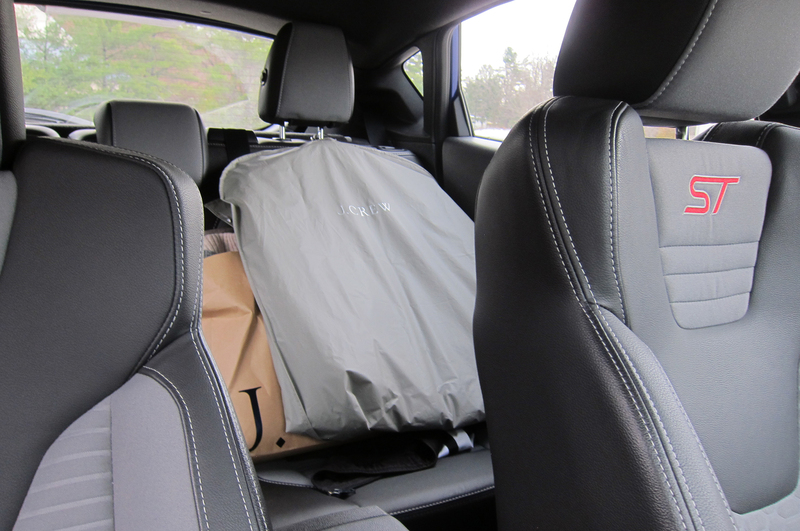 The inconvenience arose again when one editor realized there was nowhere to hang his dry cleaning and had to resort to hanging it from the rear headrest. The Ford Fiesta ST’s rear visibility is far from ideal, with a small rear window that’s further obstructed by the ST’s rear spoiler. 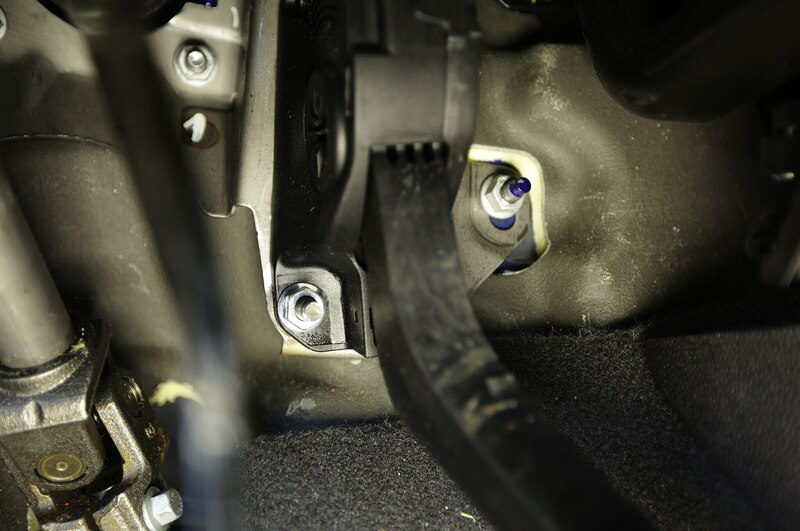 This should make the car a prime candidate for a backup camera, but Ford doesn’t even offer one as an option on the ST, which is frustrating considering it comes standard on the Fiesta Titanium. 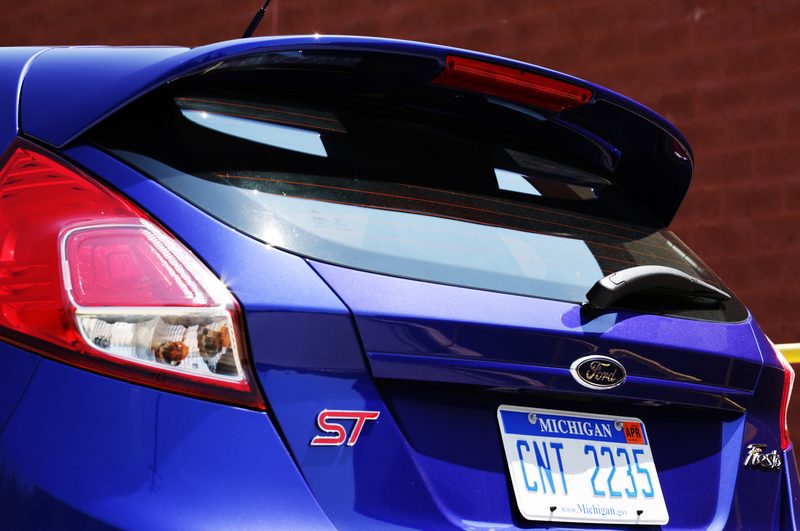 Ford representatives didn’t have an explanation for why the ST can’t be equipped with a camera. Ford’s infotainment system has come under plenty of criticism over the last few years, but it’s not the system’s operation that we have a problem with in the Fiesta ST. 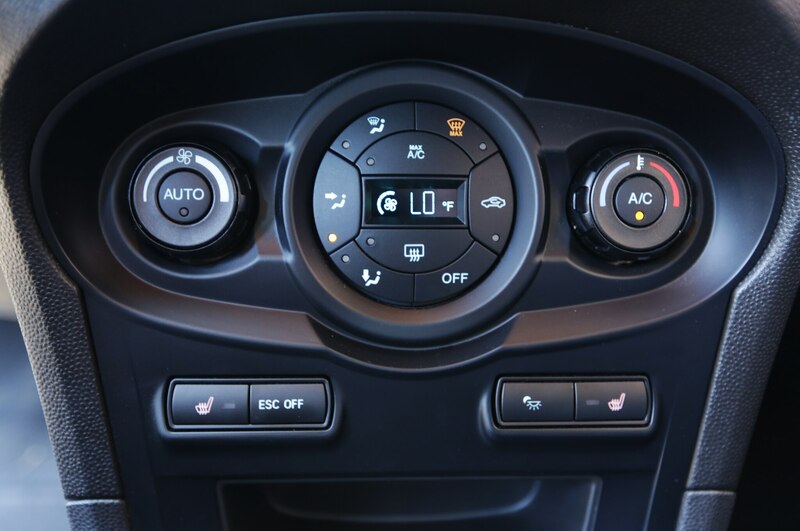 Instead, the downsized touchscreen in Ford’s smallest car simply makes it difficult (and distracting) to push the tiny onscreen buttons. 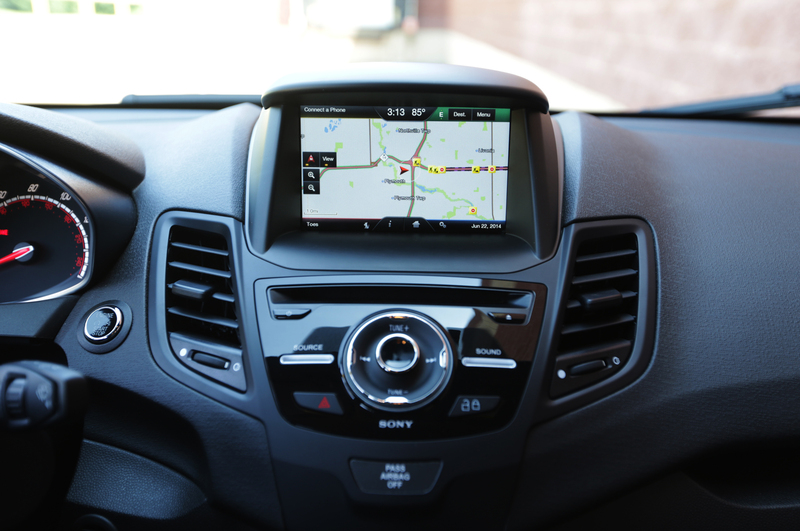 We prefer to use the SYNC voice prompts, which do a decent job of recognizing various navigation and music commands. 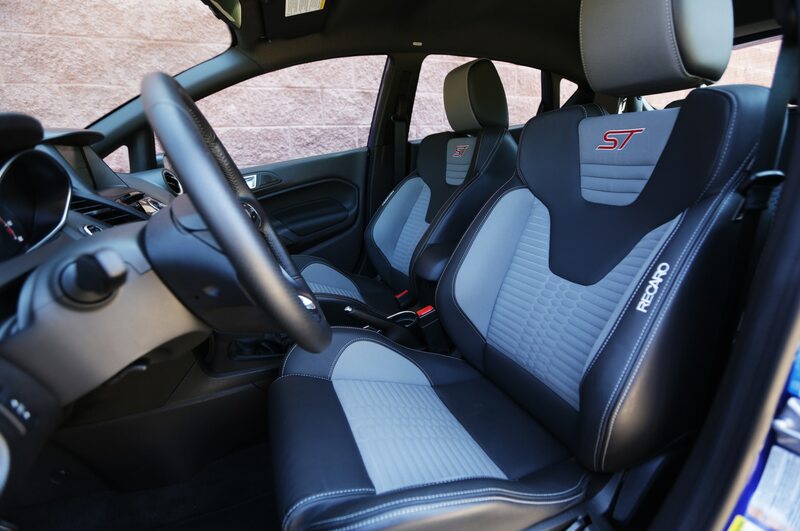 With the aggressive Recaro seats, it can be a struggle to get in and out of this car. 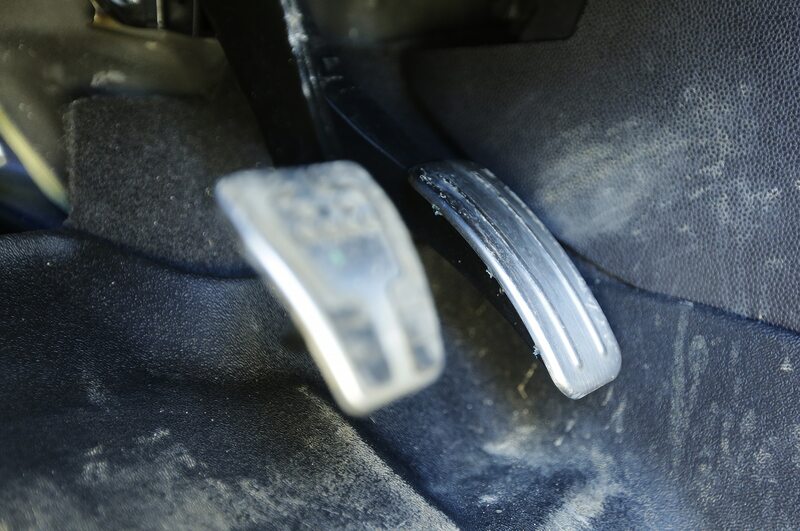 The bulky side bolsters combine with the relatively small door openings to make a really narrow gap for sliding out from under the steering wheel. 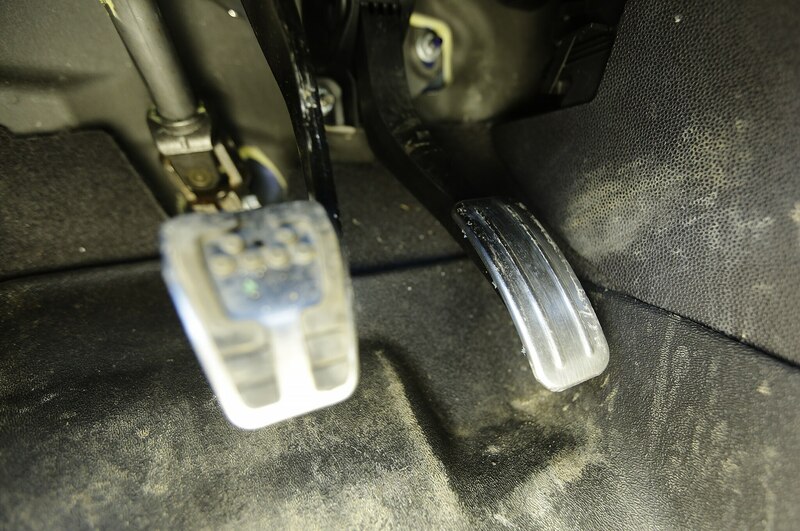 Plus, the doors are heavy and don’t like to stay in their detents, meaning that they can sometimes close on your leg as you’re exiting the car.